It is a home to music and artists, and every day is unique and filled with sounds of music. The morning starts off with mother’s classical and Hindustani melodious tone pitching ‘sa-re-ga-ma-pa’ in her blistering wooden-black harmonium; coaching and guiding the future singers from the break of dawn. And new sounds of diverse music continue to jazz up the house till late evening with new tunes of the son’s loud beats of pop, rhythmic grunge and techno-fusion music, along with a line-up of trendy aspiring and new singers inside a small but cosy home-based music recording studio. Located at Yaiskul Hiruhanba Leikai, Imphal, this unique house gives you tastes of two artists of different music genres. 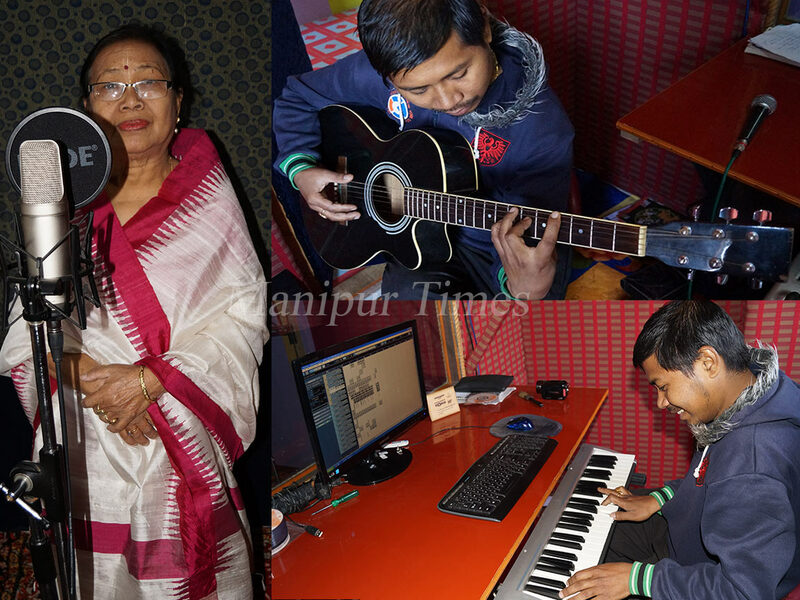 Yes, it is the Sweet Home Music Home of Asem Nigol Chongtham Bimola Devi and her son Chongtham Vivek,who is popularly known asAly.The bond between the mother-son duo is more than love and care, but woven with an understanding and mutual respect for their chosen genres of music. While having an exclusive chat with the duo, Chongtham Bimolatold ManipurTimesthat though her son’s type of music is quite different from her, she’s happy. She also appreciated her son’s love for music. She said, “Aly’s music is brought by the time, and also the time keeps changing the music tides, and it’s of no harm to sync with the changing time and trends”. 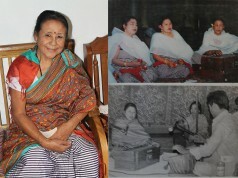 Aly’smother, Asem Nigol Chongtham Bimola Devi, needs no introduction, as she is incredibly a phenomenon and a greatly-known singer of Manipur. 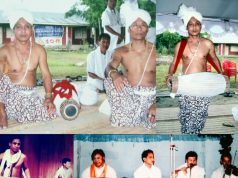 Bimola had ruled the Manipuri modern song scenario for quite a long time. She has performed at various national and international levels. Her antique songs are still glittering today, like an unchained melody free from time and aging. Her ageless voice has invigorated undying souls to dozens of lyrics, with a unique classic treats, that has made most of her yesteryears tunes reverberating today. 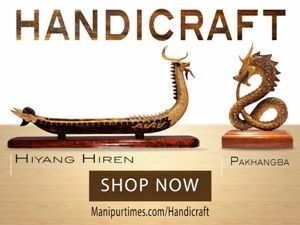 She has worked with All India Radio, Imphal as a B-High grade artist since its establishment and from the initial periods of Manipuri feature films production. 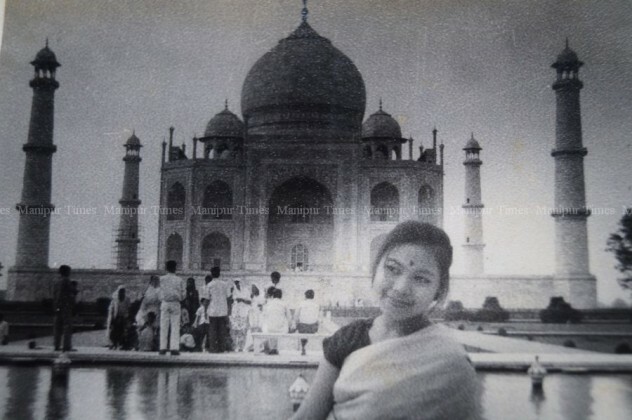 She had lent her voice as a playback singer in Urirei Madhabi; Ingallei; Thambal; Sambal Wangma; Yuridis; Hayengna Kanaginoo; Sanamanbi Sanarei and Helloi etc. Today, the racks of her house are adorned with many trophies, mementos, citations and certificates for the awards and accolades she had won during her lifetime. However, her son Aly,is a lesser-known but an avid new face among upcoming young music lovers and aspiring singers. 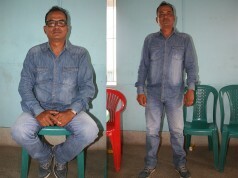 He is spending most of his time composing tunes for the songs of up-to-the-minute genre for many upcoming young singers. Among the new generation, most of his composed numbers are gaining popularity because of world’s un-static music trends, technology, the times and its people. 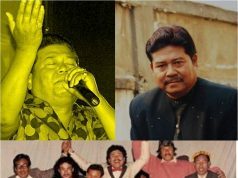 Aly started composing songs, tuning music, long before he made his real presence with his own tuned song in a 2009 music video album’s ‘Nushiba’ sung by Mandakini and Ibungomacha. 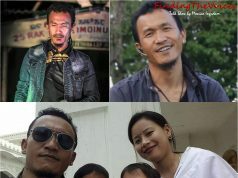 Till date he has done more than 60 songs for various different artists, and his recent popular tuned songs are: theOSTfor the Manipuri feature film ‘Beragee Bomb’; ‘Agaoba Malang’of film-actress Soma Laishram, and the whole numbers of the latest buzz young-duo ‘Gems and Jack’are composed by him. When MT enquired Aly about how much he charges or fixes rate for composing or tuning a song/music, Aly frankly stated with a husky voice, “Genuinely, what I have to said is, I don’t focus much on money. My interest is more on making them meet their expectations.My desire is to present them in the front of their audience; make them recognised their talent and also to make my works appreciate by others”. 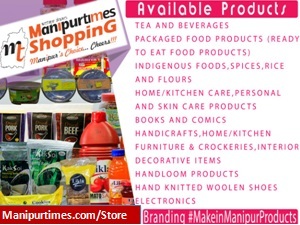 He then added, “Here in my place, a variety of passionate talents, both ‘have and have not’ people come with a dream. 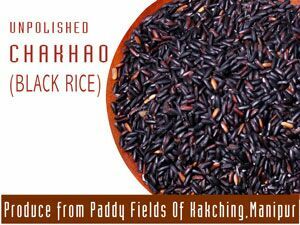 I have come across many potential and talented singers but who are considerably poor, who do blue-collar jobs, who earn by manual labouring, sweating in road black-topping works, in that situation… How can I fix a rate or how much I should ask or charge? I accept what they gave me, and even sometimes I didn’t take money because I know their passions brought them here.” Aly’s generosity, his simple-hearted friendly attitude, and his incline appreciation for art and the artist have also made enable many new young singers to drop-in his place freely. 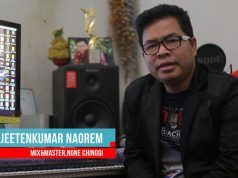 During a layover in his home-based studio by the Manipur Times, he showed a pile of lyrics of many young artists which are yet to be completed, and said, “I am currently experimenting and working on some new trans-fusion music which I absolutely believed that people would love it”.He further added, it’s unique and modern, but its grace-notes are blended with indigenous instrument like ‘Pena’ etc. 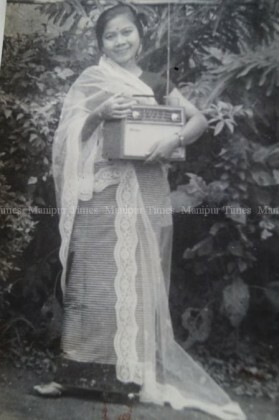 Before the black and white TV era, Asem Nigol Chongtham Bimolarecorded her debut songs outside the state. It was during the time where there was no music and voice recording studio in the state, but her recorded songs were broadcast and played in jukeboxes and gramophone players. Besides her own Manipuri songs, there’s one unheard melody of her singing in Bengali, which was recorded in HMV at the same time. 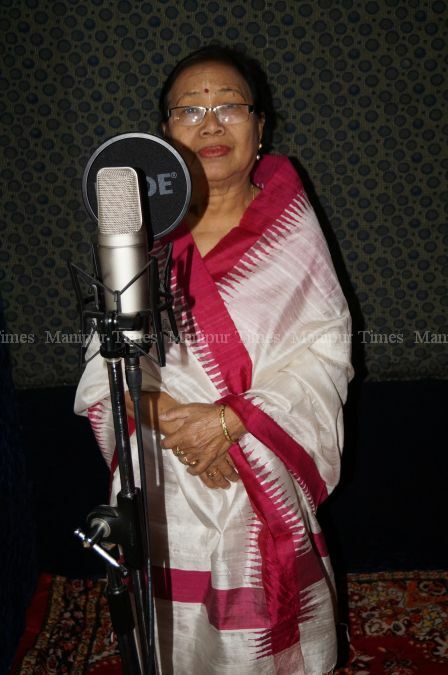 She said, “Being impressed with my performance, they asked me to sing a Bengali song titled ‘Ummar Ganneir Korri Tommare Diyegey Jalla’“.She further said, “It was written by a renowned person from HMV name Pravitomitra, and composed and tuned by one Abhijeet, a popular artist from Calcutta”. At a tender age of 7, Bimola’s footling gestures into the world of art and music began. She learnt and joined many dramas and theatre groups as a child artist, and then moved to Manipuri dance. Later she became a performer of solo dance following the footsteps by many veteran vocal maestros. 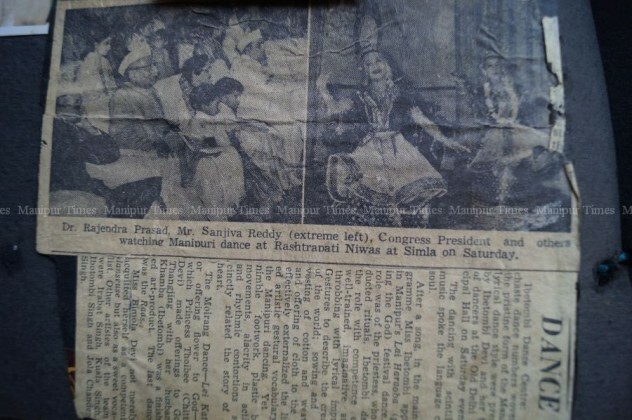 She said that she exhibited her solo dance performance before the first President of India, Dr Rajendra Prasad at Rastrapati Niwas, Shimla, and the commissioner of AIR Imphal station. She has performed for AIR Guwahati, Delhi and Allahabad and also she became the first announcer in Hindi after the commissioning of AIR Imphal. 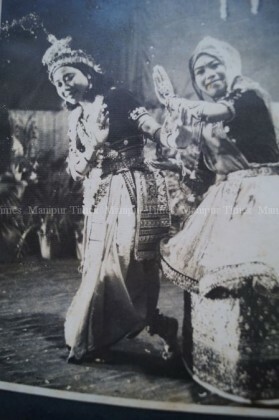 She further added, “There were less approval and also a little stigma from the people, elders and relatives in learning songs, music and dance by keeping books and education aside”.She then added, “After spending years performing, singing, learning here; we, all of three — my mother, me and my younger sister went to Lucknow to pursue Visharad (BA) in Sangeet (song) at Bhattkhande Sangeet Vidyapith. My younger sister too pursued her vocal course there”. 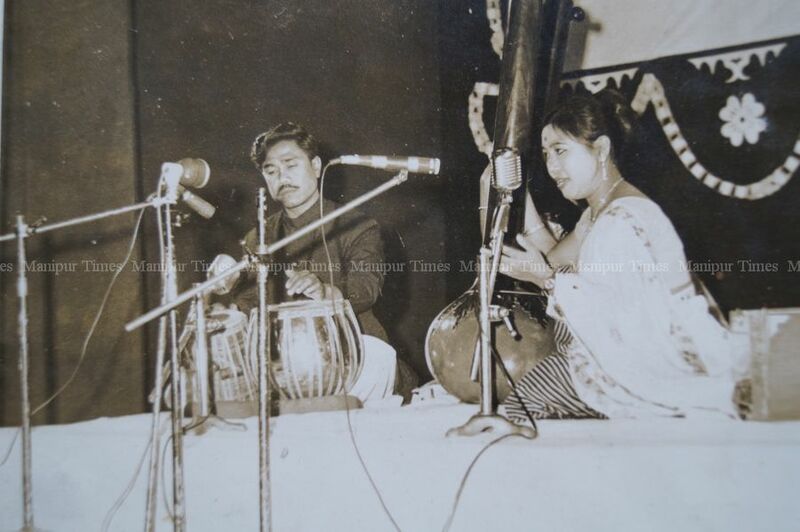 She further said, “That time was very loving, we-three managed to live with Rs 60 that we received as a scholarship”.Chongtham Bimola completed her ‘Sangeet Nipun’ from the same institute with her sister and renowned singer Laishram Mema. 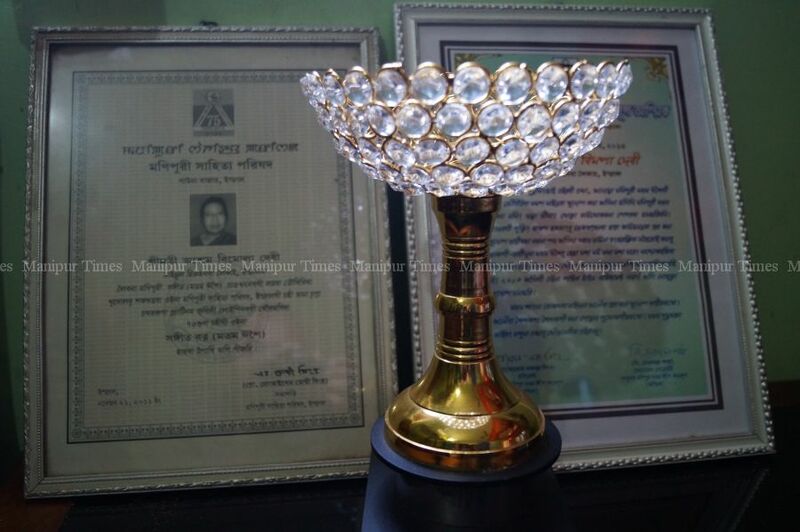 Bimola is married to Chongtham Bijoy, a retired army officer. She has three daughters and one son. Aly is the youngest. 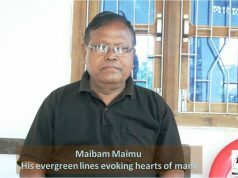 She had served Sri Sri Balmukunda Dev Government Music College, Imphalsince 1970 as a lecturer in ‘Sangeet’, and retired in 2009 as a senior lecturer. 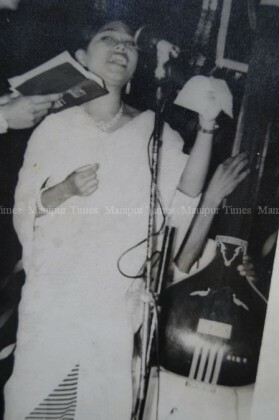 And recently she was also conferred’Lifetime Achievement Award’in recognition to her contribution to music that lasted around six decades. With the celebration of her birthday on January 29, she is now 72 years of age. 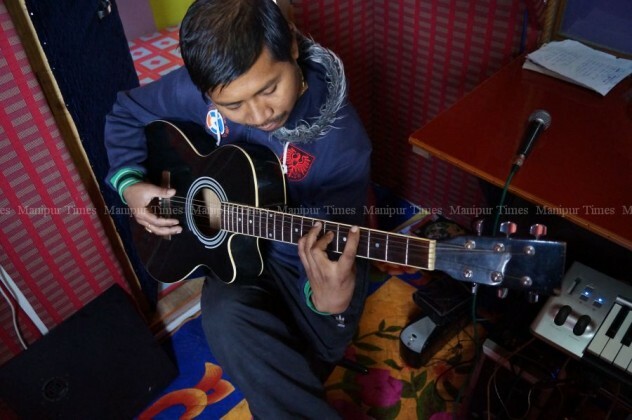 Aly started his music journey from his schooling days in Shillong, where he started playing guitar. Later he joined the crowd playing Rock n Roll; Punk and Nu-Metal and prancing on the state with a guitar for more than a decade with different types of band of the state. Aly has completed his ‘Visharad’ in guitar under ‘Bhattkhandey Sangeet Vidyapith’ but his unique ability is that the can play and have a sense on wide array of Instruments ranging from Harmonium to Guitar to Drum to keyboard. 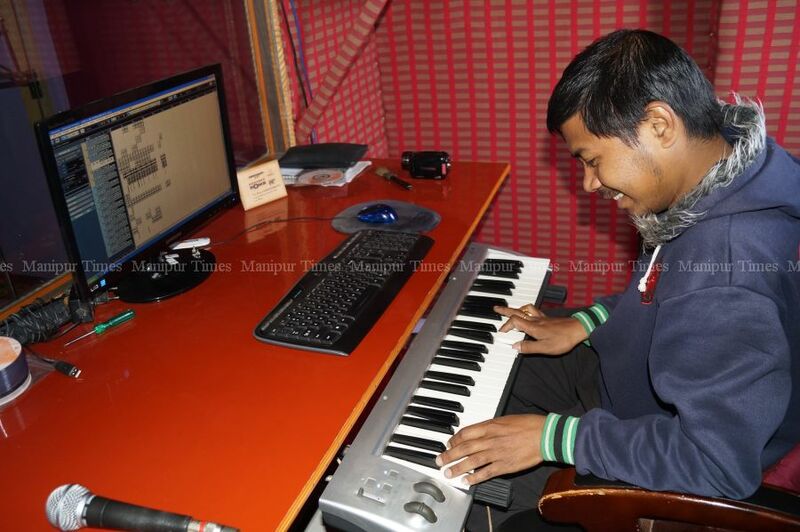 When Manipur Times asked about the types of instrument he use to compose music, he replied, “I tuned with guitar or keyboard at first and later use computer software, DJ Console to add grace-notes for the finishing”. 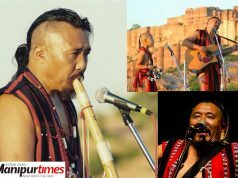 When MT enquired about his rational turns to composing Manipuri songs leaving the rock n roll crowd, he said, “Music is music but I have to think about the future, time and culture relevance. 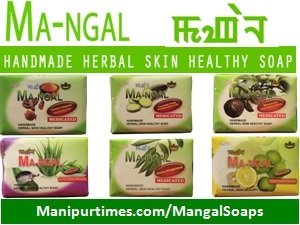 So, I take the plunge to do my own creation, my own masterpiece where I can grow”. Aly is now 30-year old, married and have a two-years-old daughter. He lives together with his both parents, wife and his child. He and her mother desire and expect Aly’s daughter choosing her career in music as none of Bimola’s three daughters opted music as their career. 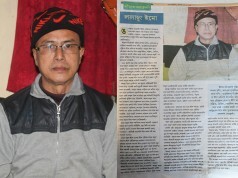 Previous articleLong Q for Petrol ahead of Not Yet Confirmed Proposed Economic Blockade.